P.S. City ID #2843 Primary renter must be at least 25 years of age. No Pets are Allowed. Property Highlights: Remodeled. Private Compound. Two masters. Flexible sleeping quarters. Heated pool, spa, firepit. Natural beauty meets luxurious high style design and mid-century magic - that is the best way to describe Run To The Sun. From the moment you step inside the gate of this private walled compound - you'll know you found a piece of paradise. This picturesque desert oasis has been kissed by Mother Nature. Towering Palm Trees, a lush green lawn and mountain views so majestic that no words or photos can truly do it justice. 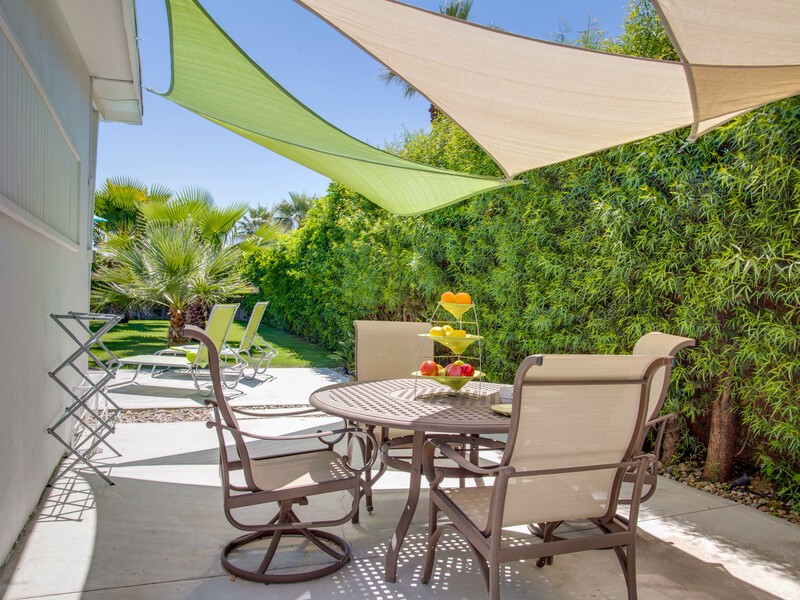 The huge sun-drenched entertainment yard and pool area is surrounded by a mature ficus hedge. The rich blue desert skies hang high overhead like a royal canopy. This is truly a stunning property. The grounds are well-manicured. 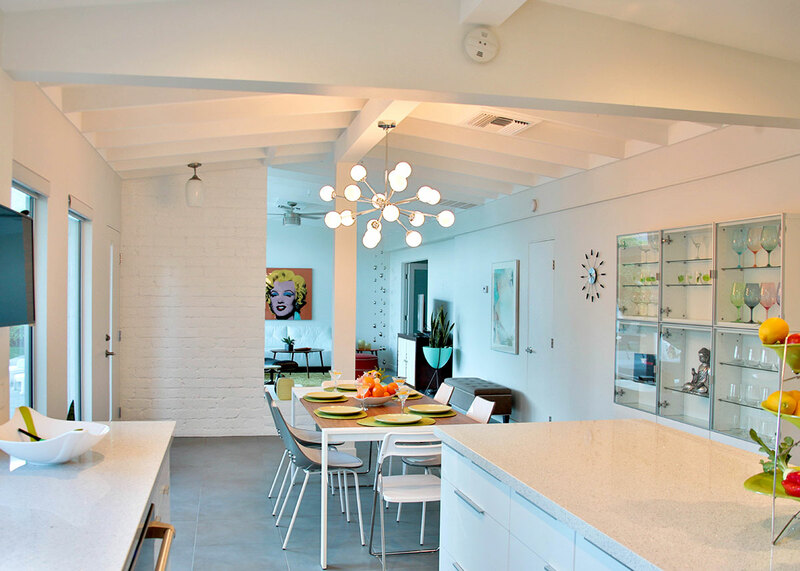 The home itself has been completely remodeled. 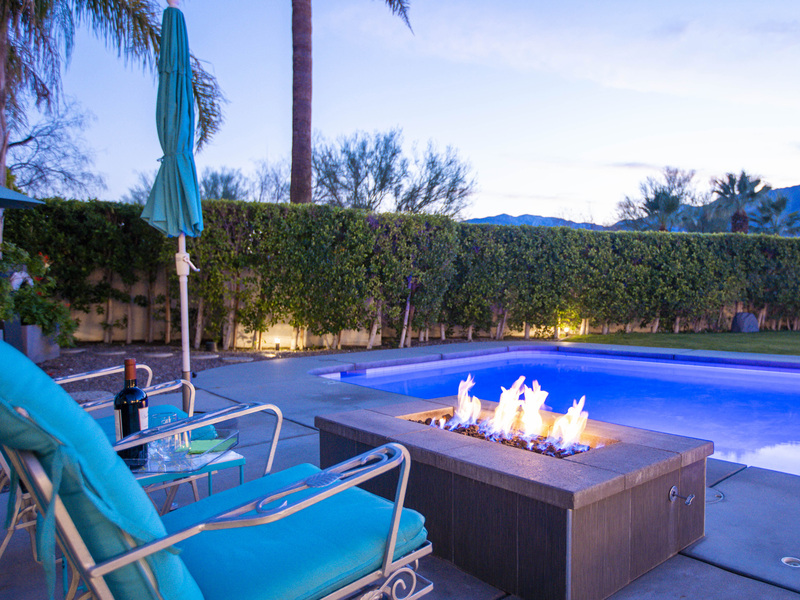 Everything is new including the kitchen, baths, pool, spa and outdoor firepit. The soothing yet fresh and hip interior design of the home - with its cool whites, warm greys and pops of color - creates a calm yet uplifting ambiance. 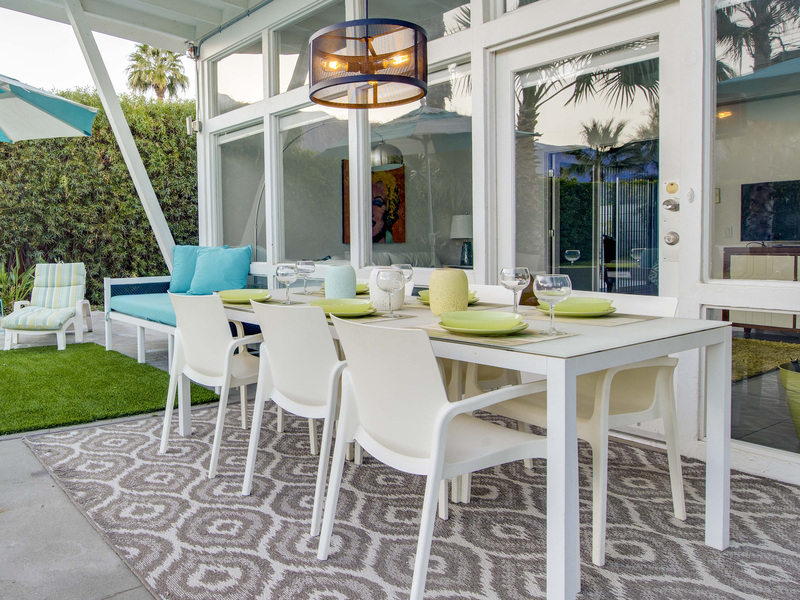 The sprawling layout and open floor plan, combined with the seamless transition between indoor and outdoor living - add to the compound's optimistic Southern California vibe. Walls of glass slide open to blur the lines between interior living spaces and the many patios and courtyards that surround the home. 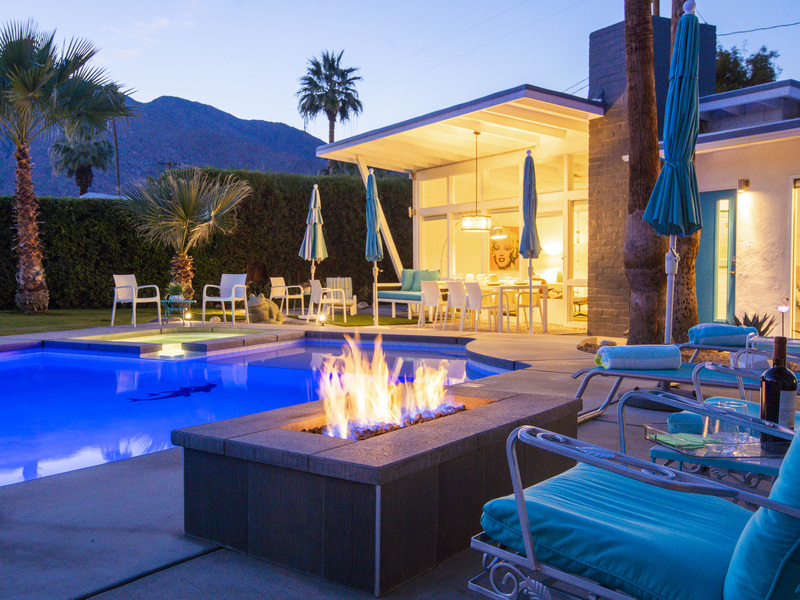 In true Palm Springs-style, nearly every room of the house has direct access to one of the many outdoor areas. 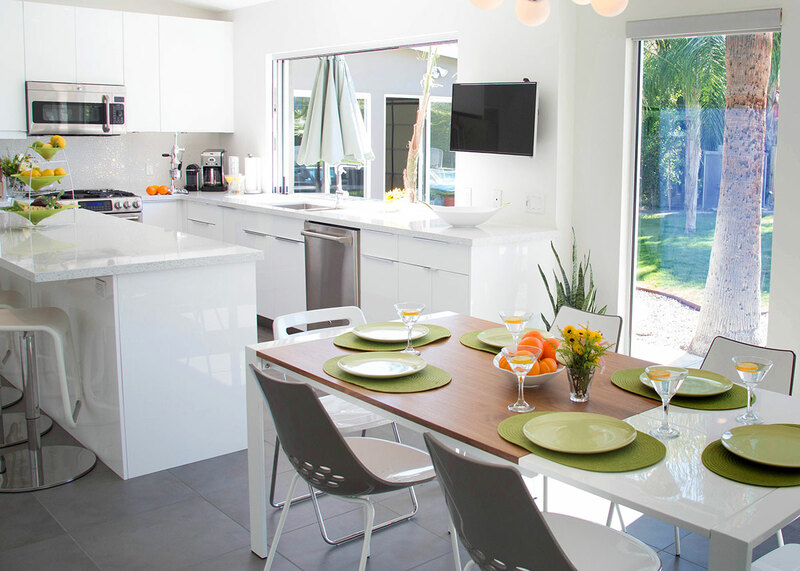 The spectacular kitchen, with its gleaming quartz countertops and stainless steel appliances, has been carefully space planned for individual or team meal prep. 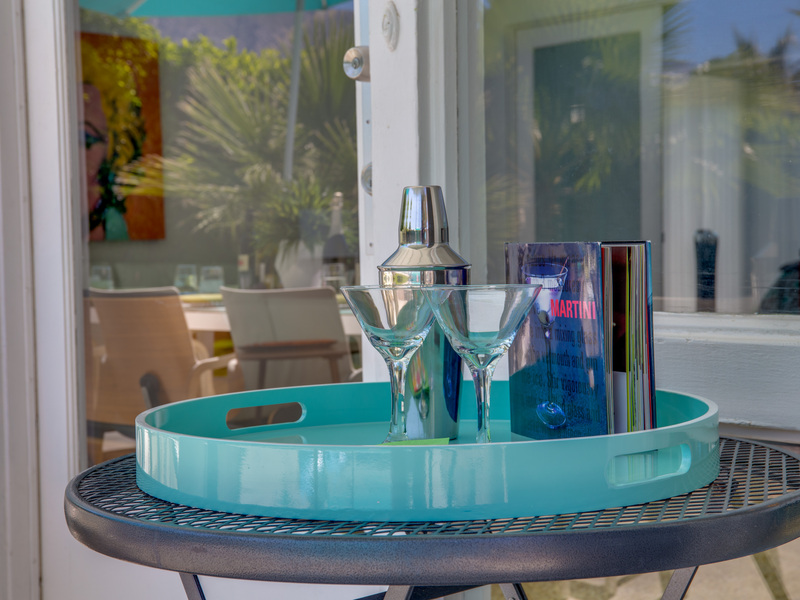 It has a large center island as well as a 7 foot window that pockets away for interacting with the poolside bar. The mountain views through that disappearing window are awe-inspiring. Adjacent to the kitchen is a dining area for eight, which leads into the living room with its fireplace, television and ample group seating. 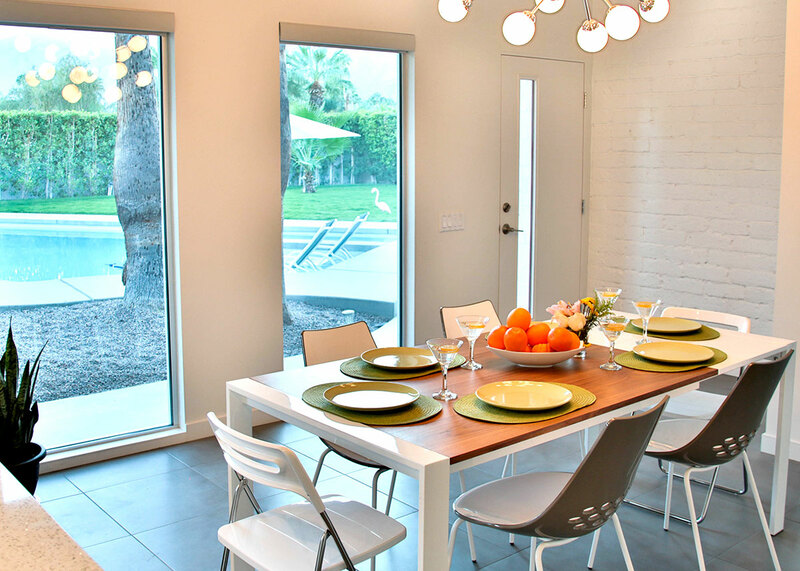 This home is perfect for everyone in your group to gather together but, when the time is right, you'll be able to find private retreat spaces for individual quiet moments. 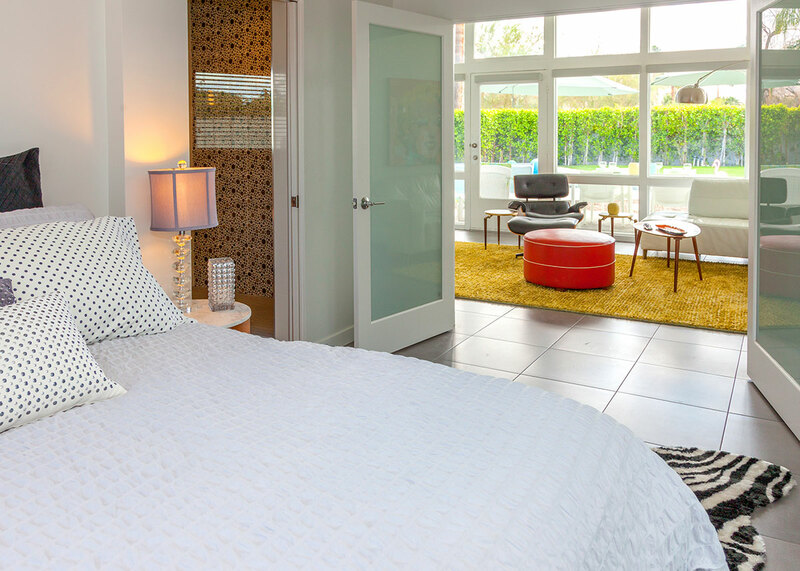 The bedrooms of this home are wonderful. 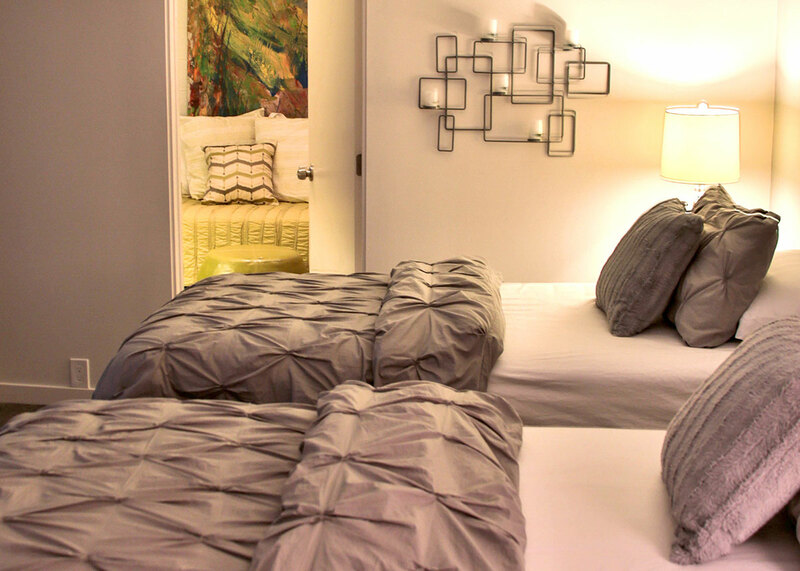 There are two master suites with televisions and an additional versatile two-room suite that sleeps up to 2 people comfortably. 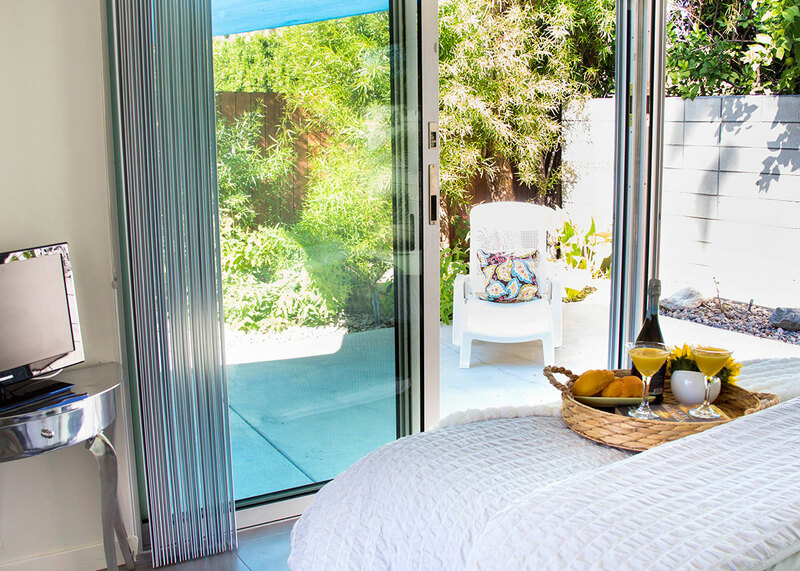 The first master has a queen-sized bed, walls of glass that slide open to a patio, and a large spa bath with dual sinks, a soaking tub and a separate walk-in shower. The second master offers a king-sized bed, a dressing area, a deluxe full bath, direct pool access and spectacular mountain views. The additional guest quarters offers a main room with two twin beds that can also serve as a king upon request, plus an additional sleeping alcove with a privacy door. 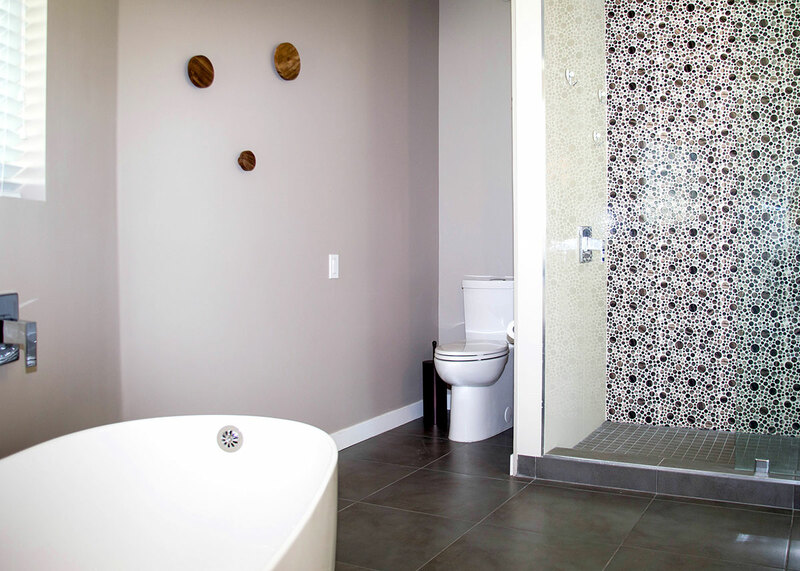 This area has a full ensuite bath and each section of the suite opens up to an outdoor patio. As gorgeous as the interiors of this home are - it is the spectacular south and west-facing entertainment yard that is the crowning jewel. At the center of it all is a grand pool with arching fountain sprays and an integrated spa and tanning deck. The oversized heated in-ground pool is surrounded by many different gathering spots including the eating area for dining alfresco, the barbecue hut with its weber grill and side bar, the main cocktail bar that looks into the gourmet kitchen, the lawn for yoga, a ping pong table, and the fire pit for long evenings under the stars. "Run To The Sun home is beautiful. 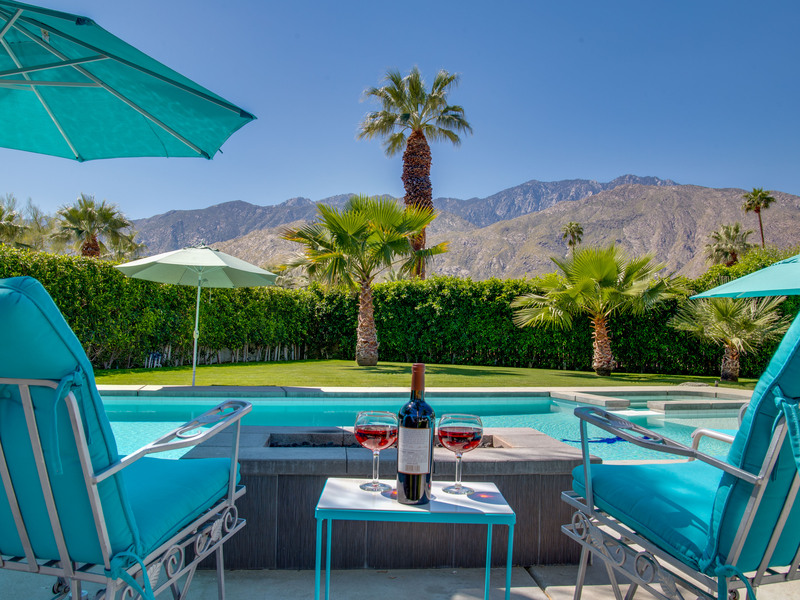 It has one of the best views of the mountains in Palm Springs. We rented the home to attend our son's wedding at the O'Donnell House. Since it was a special occasion I wanted the perfect home. I could not have found a more ideal home. It was immaculate and everything was labeled for a stress free stay. The floor plan is perfect for 3 couples. We spent every morning sitting by the pool enjoying the magnificent view of the mountain range. Another plus is the location. 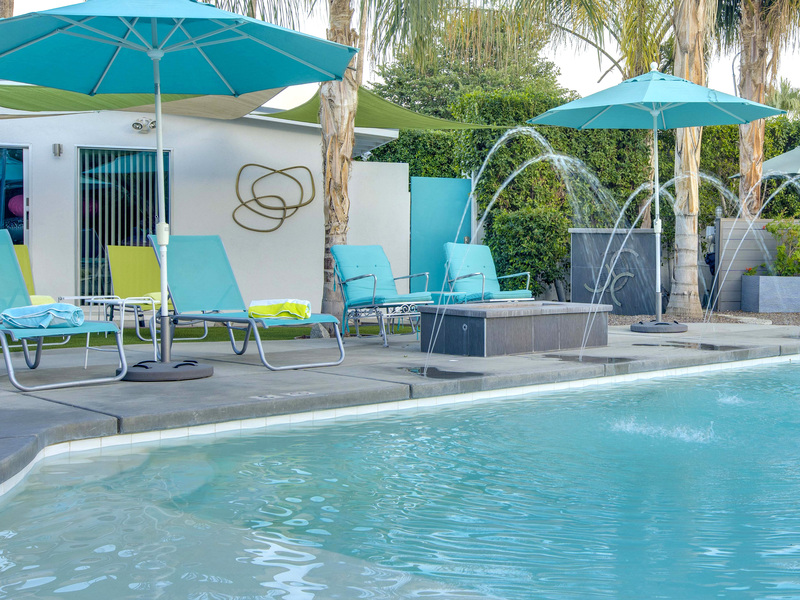 It is convenient to all the best spots in Palm Springs. The only assistance we needed was the replacement of a burned out light bulb. Acme had a new bulb to us right away. It was the perfect stay! We hated to leave. 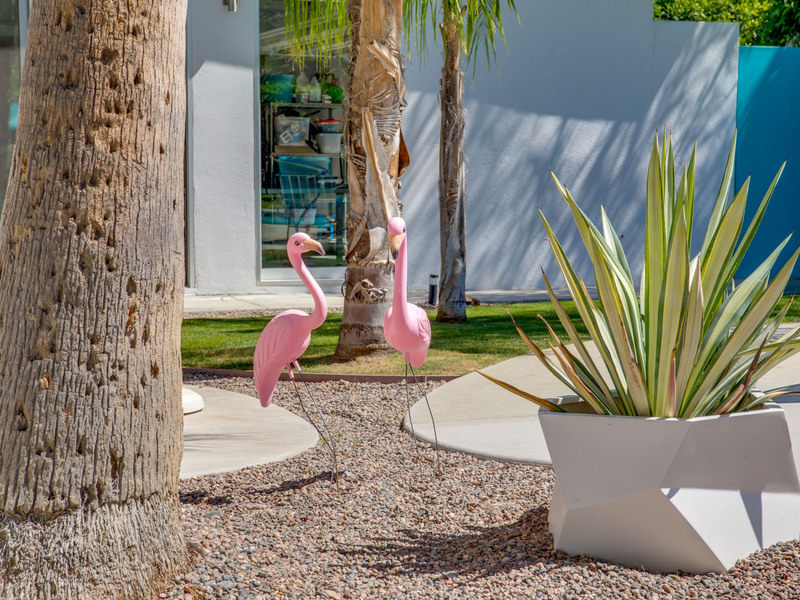 On our next visit to Palm Springs we will rent the same home from Acme! Loved, Loved, Loved the house!!!" "The house was amazing!! Very comfortable, lots of room and all the amenities we could need. The best part though, was the outdoor space. The pool and hot tub were great. Very large yard and space for everyone. We would definitely return." "We loved this house the first time so much that our little group decided to rebook and come back a second time. The house is great. The pool is beautiful and the views are stunning. The rental process is very easy and the team makes you feel very comfortable and well set up. Thanks for a wonderful second stay!" "Great location, the house was perfect for our family get together. I loved taking a walk along the riverwalks in the mornings. Everything was stocked well for cooking in the kitchen. 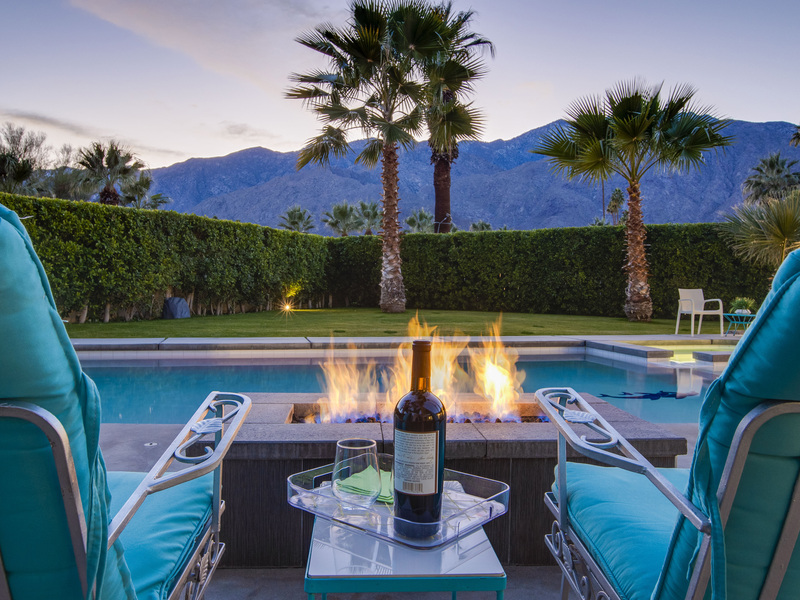 The balmy evenings were spent in jacuzzi and fire pit." "We stayed at Run to the Sun Sept 29 – October 2nd, and I don’t really want to write a great review because I want to keep this house a secret so it doesn’t get booked up! Upon arrival we met with Steve who gave us a tour and rundown of the house which was great, as it took the guess work out of everything. The house is bright, CLEAN, and spacious. 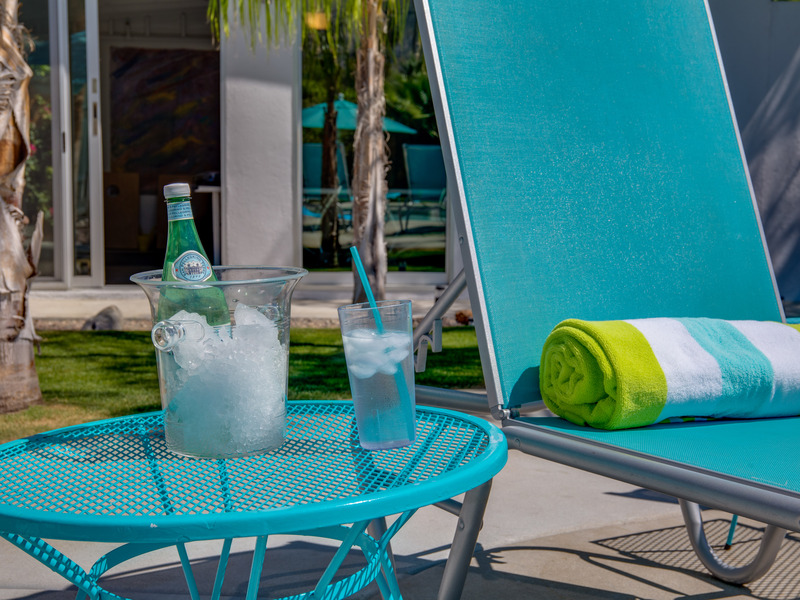 It has everything you could possibly think of, plenty of towels for the pool, dishes, cutlery, glasses, cups (everything perfectly labeled!). Plus all the small appliances you could need. The pool area was spotless, with a ton of umbrellas and loungers, great conversation areas; we all loved it and spent most of our time out there. There was a very informative binder which included dining suggestions and notes about each restaurant if you aren’t familiar with the area, and another binder with menus. I loved everything about this house, including how private it is; oh and did I mention the lime and grapefruit trees in the back? Knowing that someone was a call or text away if we needed something or if something went wrong at the house was comforting. Highly recommended!" 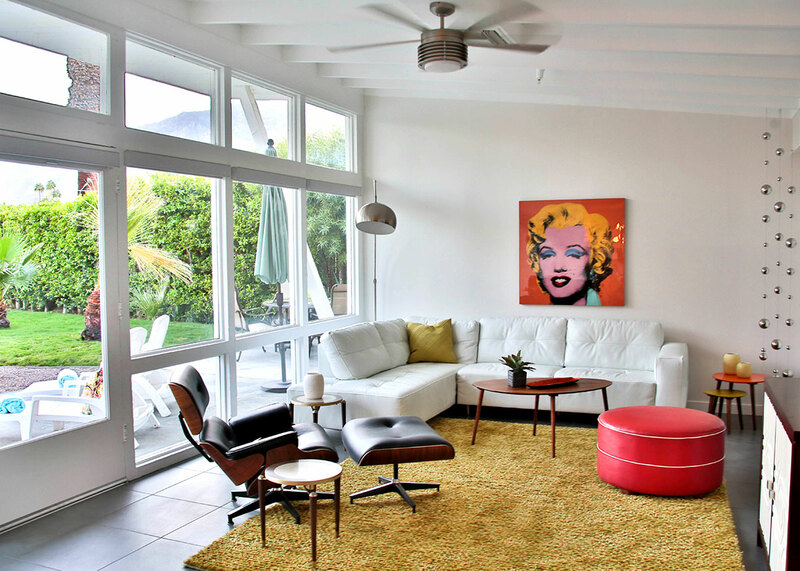 "House has modern retro vibe. Great entertainers backyard. Kitchen has a nice long Island table for good conversation. All cabinets are labeled so easy to find things. Loved that! Very close to restaurants and shops. Lighting was fun in pool and enjoyed the fire pit accent. " We enjoyed every aspect of the house! 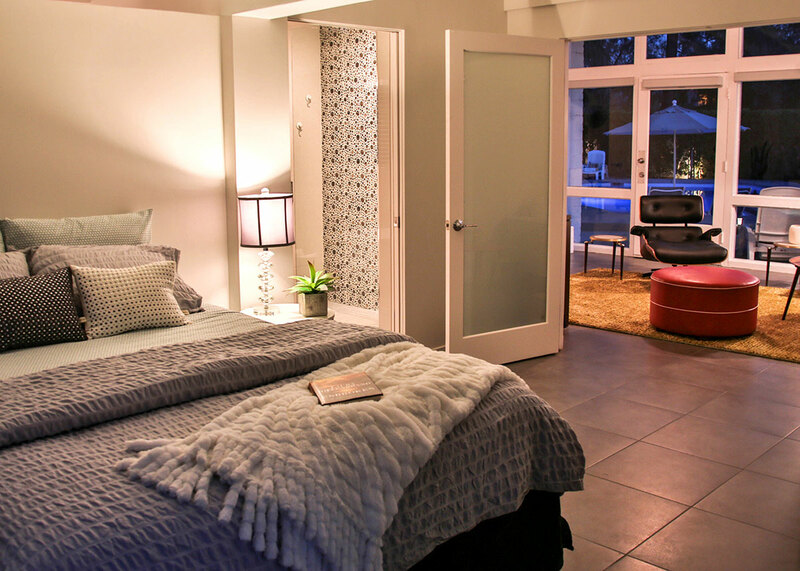 "6 girls and I stayed in this home for a bachelorette weekend away! It's a great location with a beautiful setting! The owners did a wonderful job renovating the place. It was cozy and comfortable. Loved the pool and all the seating! In addition, the home looked very inviting, and was truly amazing! Really liked the amount of kitchenware,dishes,etc. available for our use! Everything I needed was already here! HIGHLY RECOMMEND THIS HOUSE!" 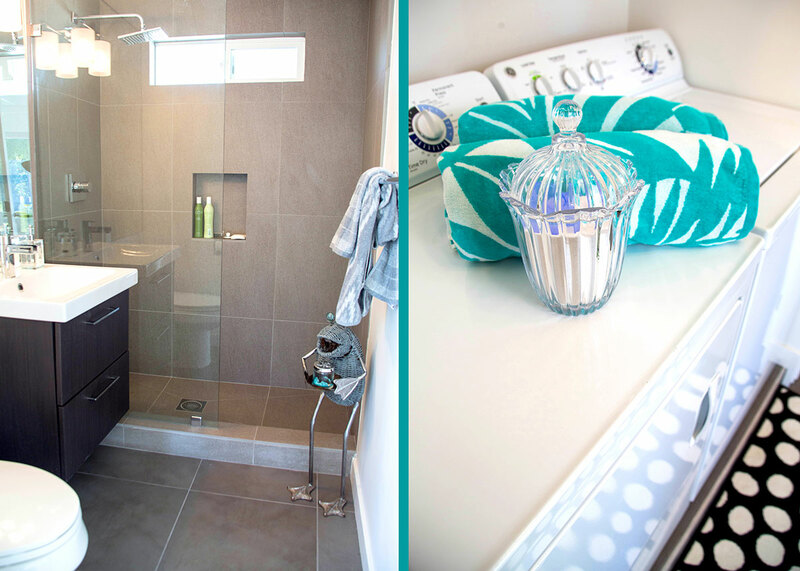 "Excellent style, and cleanliness! Beautiful pool! Very good overall stay!" " Acme is a company that handles every phase of the rental process from making sure that the home is ready for guest to handling any repairs or maintenance that may come up. This is very important to me because I do not live in Palm Springs so when issues come up all it takes is a phone call to Acme and the problems are resolved in a timely manner. I would definitely recommend Acme House if you are looking to rent your home or if you are looking for a vacation home to rent. They are the best!!!" "Excellent cleanliness! Very good comfort! Excellent Style. Excellent arrival and overall stay!" "Loved the house, the pool and the private setting. Excellent style, cleanliness, and comfort. An overall excellent stay!" "I recently visited Run to the Sun. Loved swimming in the warm pool with a backdrop of snow-capped mountains. We had that same amazing mountain view from the large well equipped kitchen. It was also a pleasant surprise to find fruit trees in the backyard. What a treat to pick fresh grapefruit and lemons! Great experience - can't wait to come back! " "This home was fabulous, my only complaint is there was a level of road noise when laying by the pool, but that won't keep me from coming back! The best part was the house, the pool, and the beds! The biggest surprise was the comfort level of the beds which was surprisingly good! " "Very well-equipped house! Great views! Thanks very much for an excellent experience. Biggest surprise was the cold, rainy weather we encountered on our stay. Hope to come back to better weather next time!" 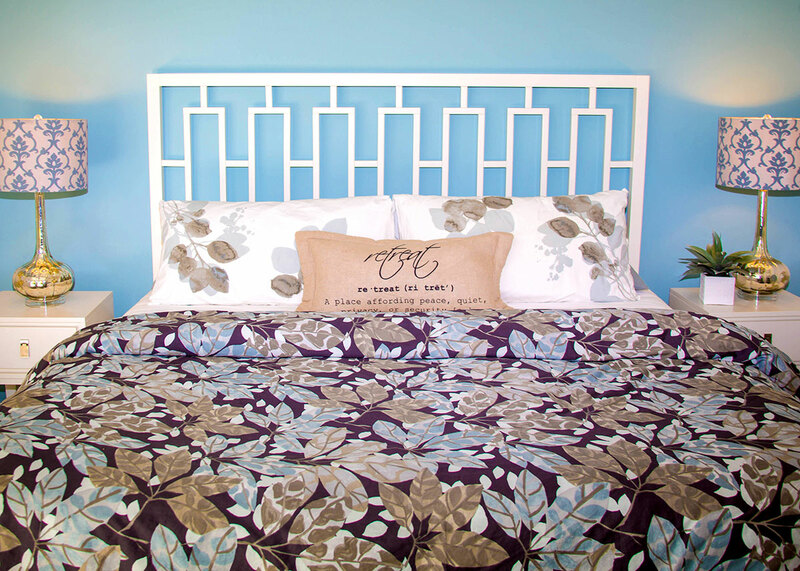 "Loved the decor; very clean and the beds were all comfortable. Double sinks in all the bathrooms, a nice touch. The pool, hot tub, and yard were amazing, and perfect! Close to downtown. Highly recommend this property. We stayed with a group of 6 women and it was absolutely perfect for our week away. Lots of room with 4 bathrooms! We loved this property! " Stylish, private, comfortable, & spacious! "We loved our stay. Beautifully decorated, great outdoor space (SUPER hot hot tub! 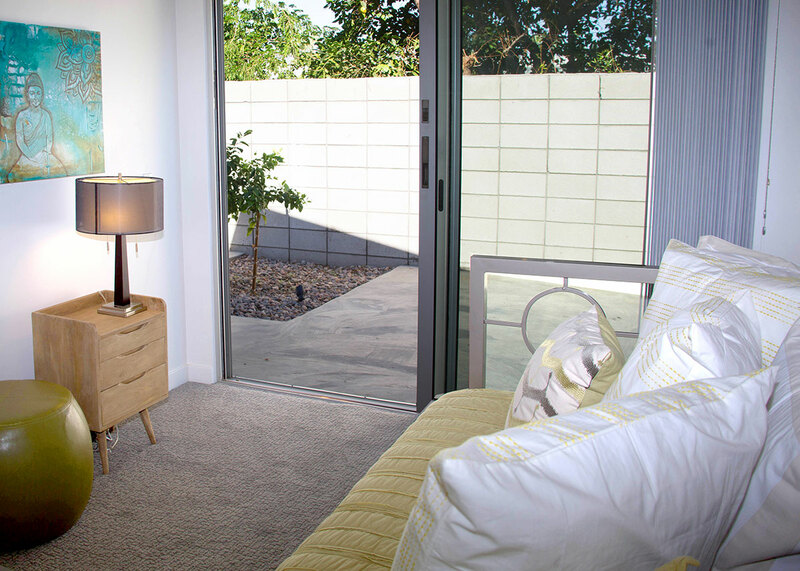 ), and close to amenities. The grounds feel very private, and the whole experience was strongly reminiscent of a high-end hotel & spa: extremely relaxing! " 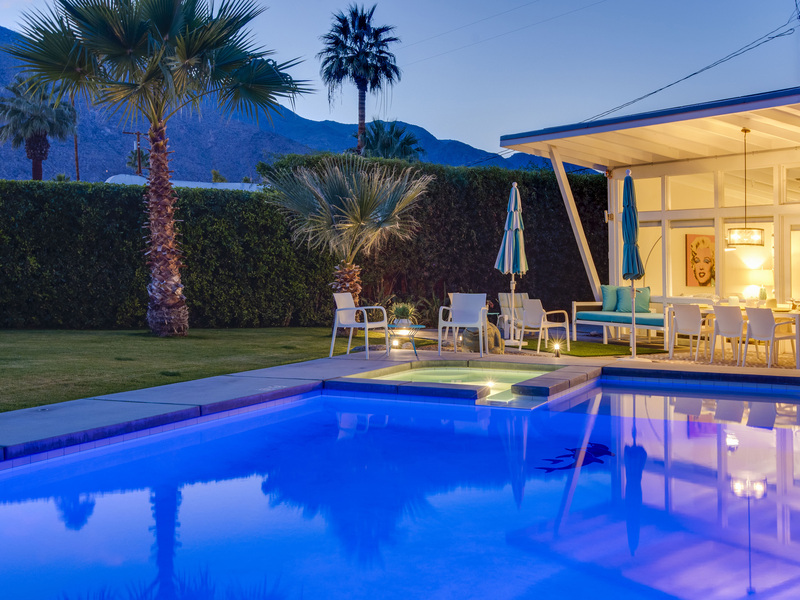 Tranquil hideaway in the middle of Palm Springs! "I didn't want to leave! 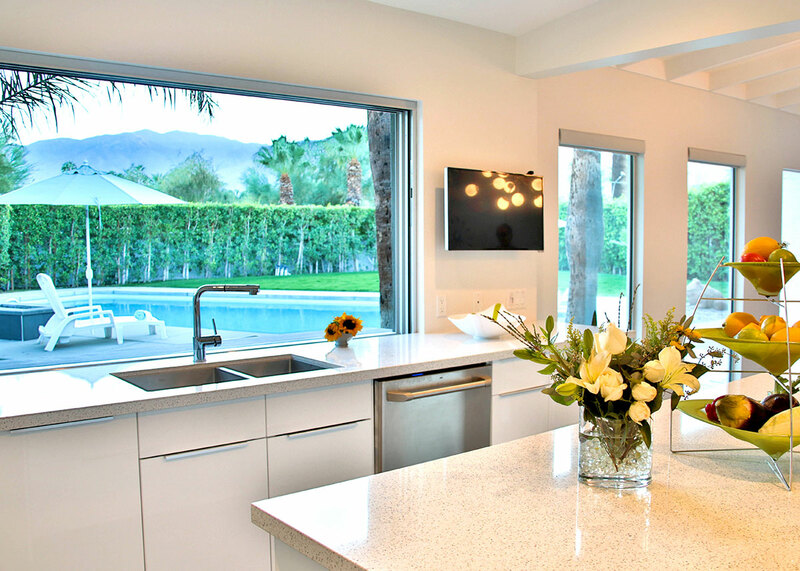 The light, airy layout that fed into the outdoor pool/hottub oasis with mountain views was an absolute highlight. Private and quiet with great attention to detail - saltwater pool (!!! 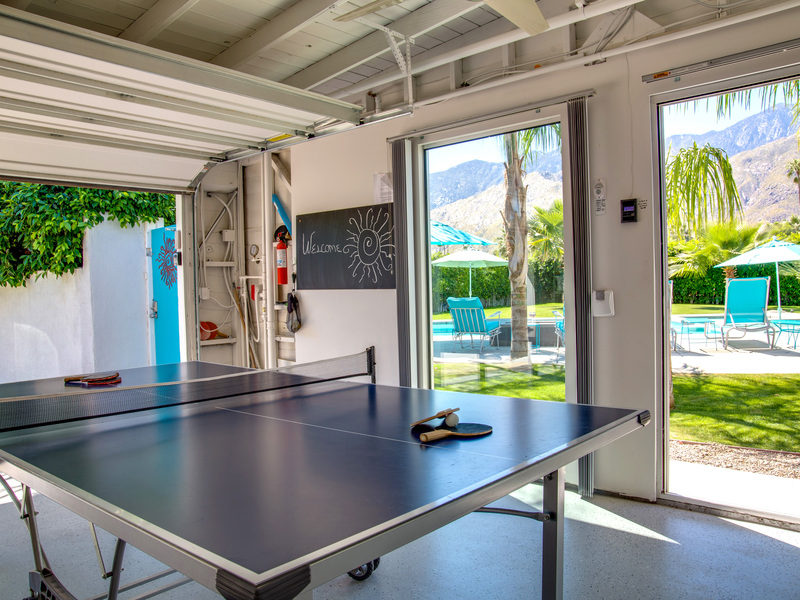 ), luxury amenities, great design sense, and even top level TV on demand for when you tire of all the activities Palm Springs has to offer and want to veg out! The place is pretty close to the airport. 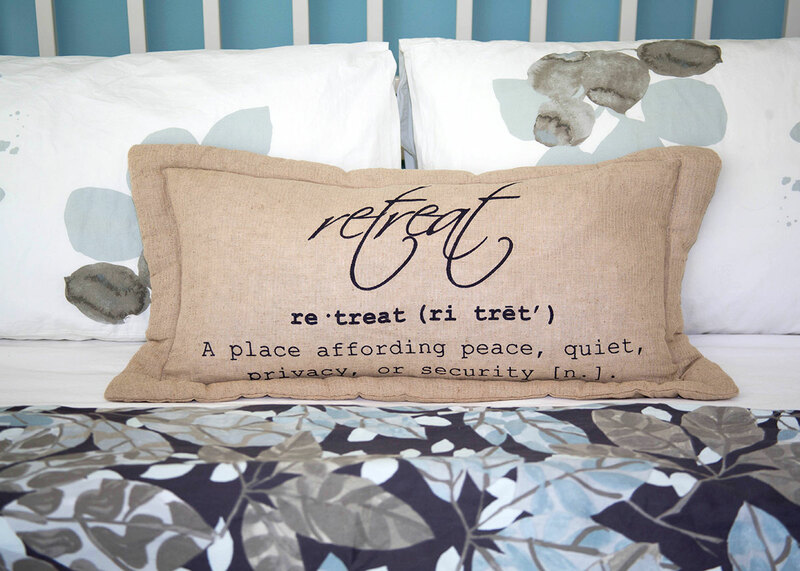 Great spot for a family gathering, girls getaway, etc. " "The place truly lives up to the photos. What really struck me is the attention to every small detail; absolutely everything I wanted to be there was there: a fire pit right when I wanted, oriented just so I could watch the mountain set against stars, holes for the umbrellas so they could cast shade over the pool in mid-day, a washer and dryer, bikes, a ping pong table...the sheets were yummy, the kitchen well stocked, the salt water hot tub wonderful on my skin. All this brought together with an eye for mid-century modern style that made me just happy when I woke up in the morning. This was a lux-retreat and just a downright bargain value for the quality, set and setting. This is my "go to" place in Palm Springs. " "Very smooth transactions, from reservation to check out. Price and house amenities stood out from other agencies. What we saw in the pictures on the website, that's what we got in the rental unlike other agencies. Pictures were up to date." "The house was amazing. The amenities were everything we needed. The house was spotless. The layout and spaciousness was just perfect! Distance to the airport was close. Walking to downtown, along the canal, was lovely. The house met all our needs. Three bedrooms with FOUR bathrooms. The layout of the house was also perfect. Hot tub, large pool, large grassed area, firepit, indoor/outdoor island, not to mention beautiful bedrooms, gorgeous kitchen, and windows EVERYWHERE! Loved that the photos online were entirely TRUE to what existed. No special angles or props - what you see is what you get. AND THEN SOME - for example the kitchen was much larger than we imagined. Six very picky adults stayed there, and we all loved it so much that we had a hard time leaving! " Loved the breathtaking setting and amenities - we are running to the sun... again!! "Our family and extended family have had the pleasure of getting away to this beautiful property twice and enjoyed every moment. Breathtaking private setting of the mountain ranges, palm trees, sunshine + pool throughout our time here never cease to amaze, invigorate and relax us. 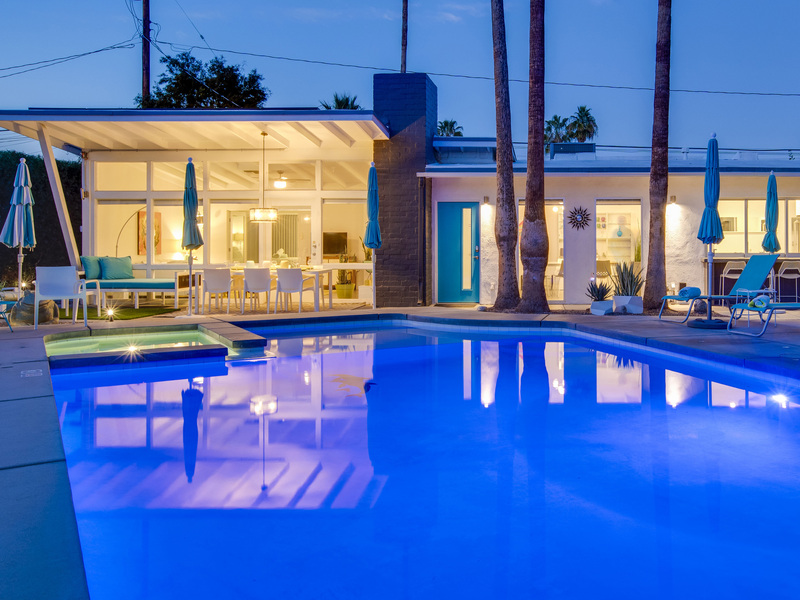 An enjoyable time from the perfectly clean midcentury modern space indoors with all the amenities we could dream of… to the outdoors where we spent most hours splashing in the saltwater pool, relaxing in the hot tub, grilling and enjoying the ambience of the fire pit into the evenings. We loved riding the bikes and daily walks on the path so easily accessible. We picked fresh grapefruit and lemons from the trees in the back, so fun and fresh! 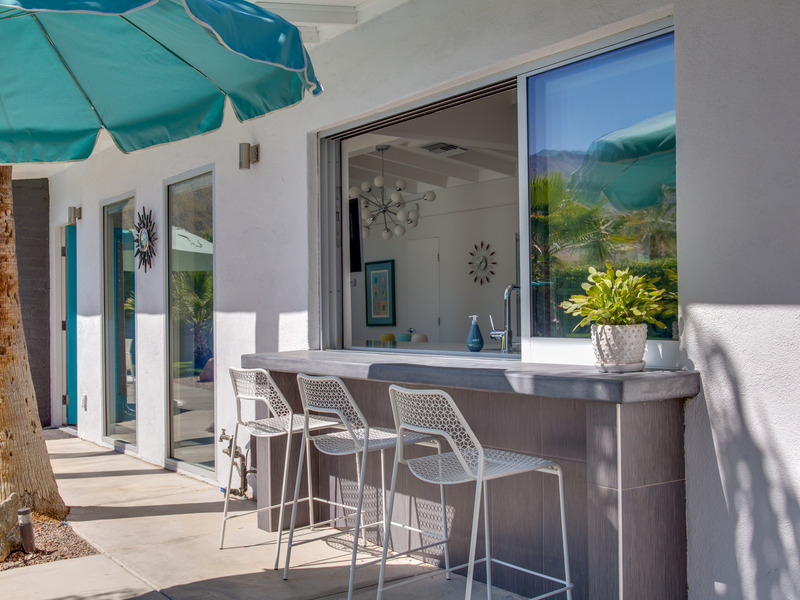 The kitchen is very well equipped and opens to the outdoor bar, which was a favorite feature of ours. We also loved the Palm Springs vibrant atmosphere, passionately delicious restaurants, Thursday Night Street Fair and shopping. We visited the Living Desert Zoo & Gardens which was a fantastic outing for adults and kids alike. So many great photos and memories we have together at this beautiful PS property and city… absolutely priceless. It really seems perfectly set-up for any group. We hope to return again soon!! " Manager Response: Thanks for the feedback Julia. It always makes us happy when guests return for a second or third dose of fun and relaxation. We look forward to your next visit! 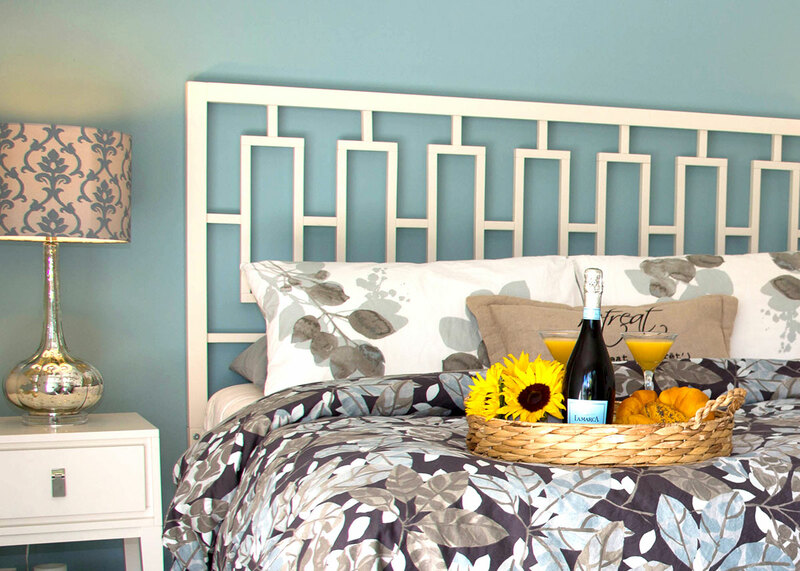 "We recently stayed at this lovely retreat-like home with another couple and would definitely come back again! We enjoyed taking in the beautiful mountain views from the pool and hot tub and loved how modern and well maintained the property was! 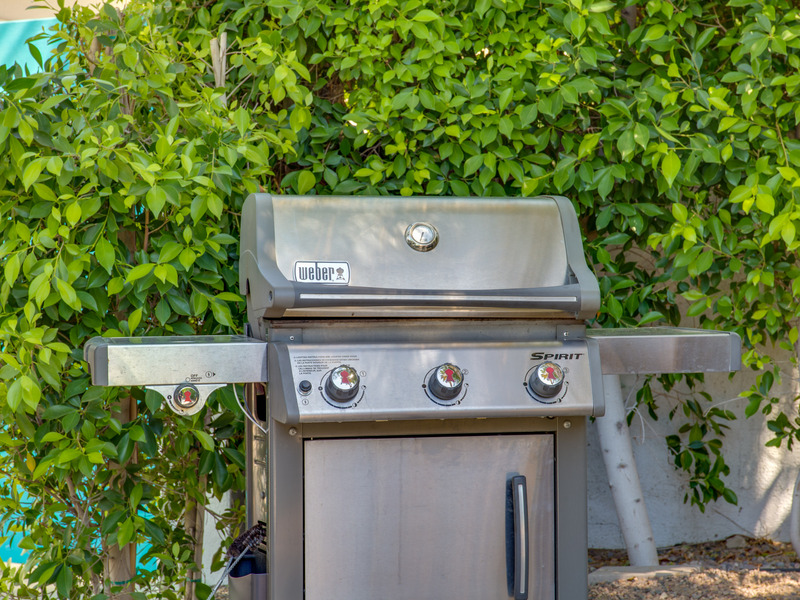 We enjoy cooking some meals in and were pleased that the kitchen was well-equipped and felt connected to the outdoor area as well. 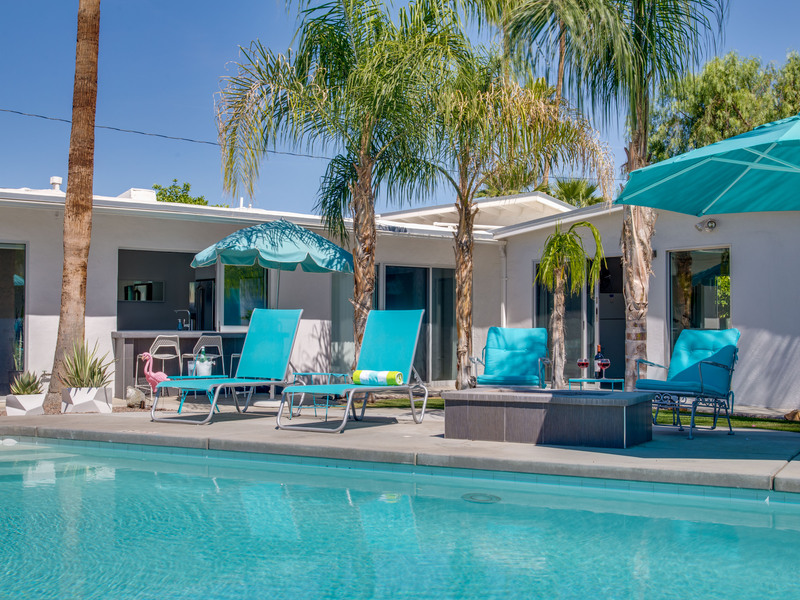 Although we spent most of our time relaxing by the pool, we appreciated the proximity to the shops and restaurants in downtown Palm Springs as well as the airport. We managed to squeeze in a trip to the premium designer outlets which were about 30 minutes away. We would recommend this place in a heartbeat. " "Great property, responsive management team, but one issue marred the stay because the heating system was not functioning well, but supplemental space heaters were provided. This may be important for some people, less for others! We chose this property for the price, amenities, and location, and was very surprised with the amount of fun outdoor activities in the area. Overall a great experience! " Manager Response: Thanks for the feedback. It was unseasonably cold during your stay which gave the heating systems throughout the desert an extra challenge. We are so happy to receive this positive review despite the hiccup. You were gracious guests. Thanks for your patience while we worked things through for you. Everything at Run to the Sun is back in order! "We picked ACME House Co. because of their good reputation. The booking process was clear, with good communication, and access to instructions. The Concierge was very knowledgeable and helpful. The best part was all of it, from booking, to our actual stay! The 'small' stock of cleaning supplies was much better than we expected. Excellent overall stay." "Very easy booking process, very friendly staff. Dennis met us at the property when we checked in and he was so friendly and helpful, he made us feel very welcome. It was a great start to a lovely trip. The house was better than the photos! Overall a great experience. The property had all the things we were looking for, a big pool, two master suites, an open floor plan and modern style. " "Easy, fun, perfect vacation spot! Loved the pool. Helpful service. A great property. " We keep returning, and loving it! "Great management company that show fast and reliable customer service. We have rented this home two other times, and have loved it! The house had everything we needed! Thanks for taking care us us! Appreciate your customer service! " 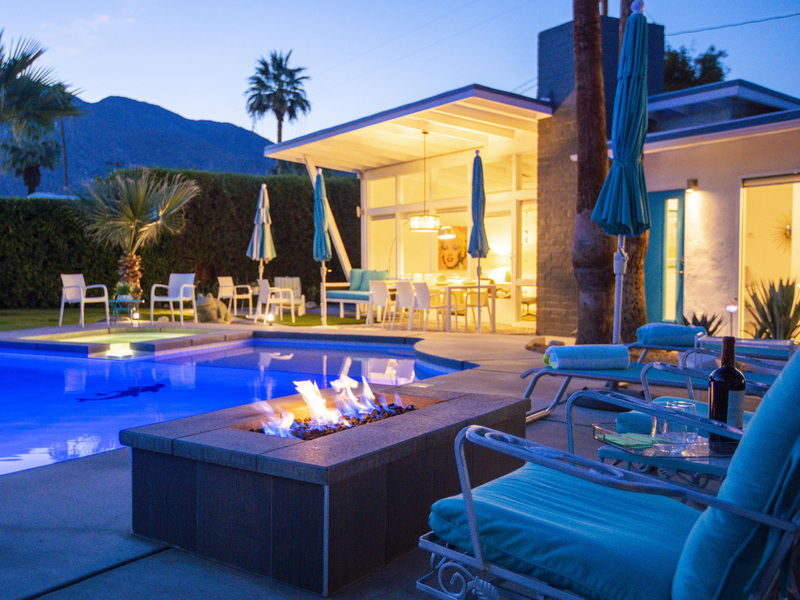 Pure pleasure... beautiful views, relaxing midcentury modern masterpiece! "Possibly the most enjoyable vacation we've had the pleasure of taking... the property was amazing and better than I could have imagined. From the heated pool & hot tub with the backdrop of picturesque mountains... to the perfectly furnished midcentury modern house... we had an amazing time here. Nothing was amiss. There are citrus trees on the property, pingpong table outside, an entertainers dream, romantic, we also had fresh squeezed grapefruit almost daily... fantastic! 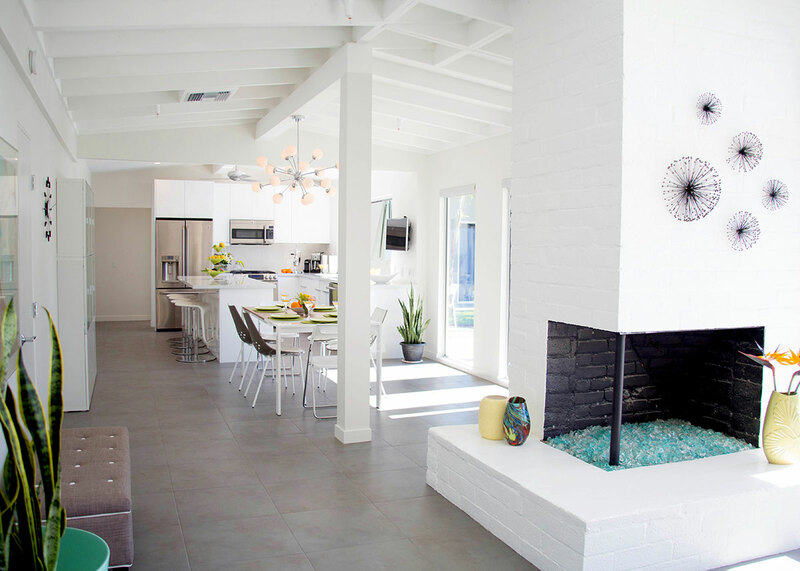 The house is mostly white with pops of tasteful decor... it felt happy, clean, modern and comfortable. 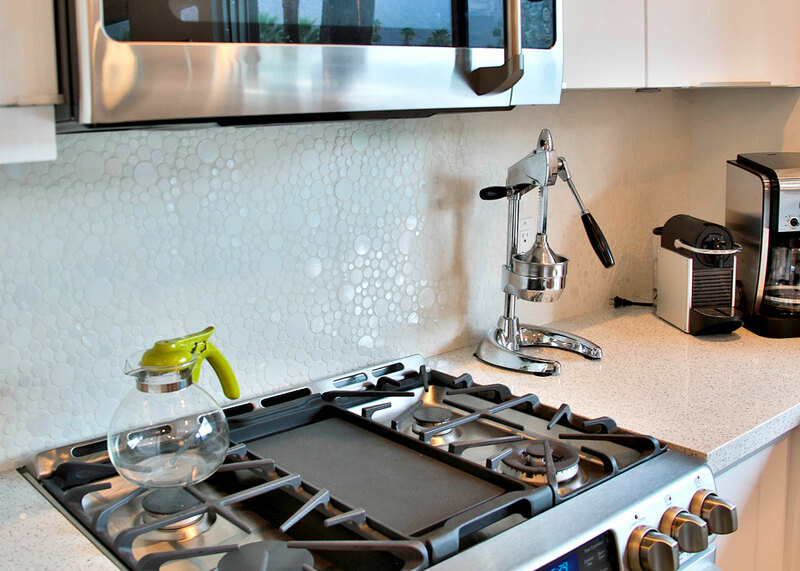 The grill was great, the kitchen is fantastic with high quality materials and easy to use. Bike path right across the street, coffee shop within walking distance, we loved it. We are hoping to book again next year!" 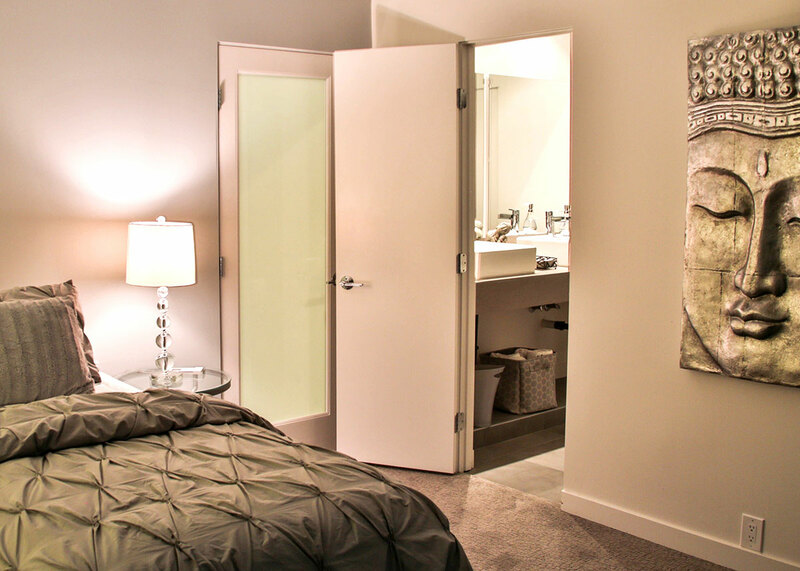 Great style & service, premium properties! "Great property to spend time in and have fun. Great pool, hot tub, table tennis, bbq & central location. " 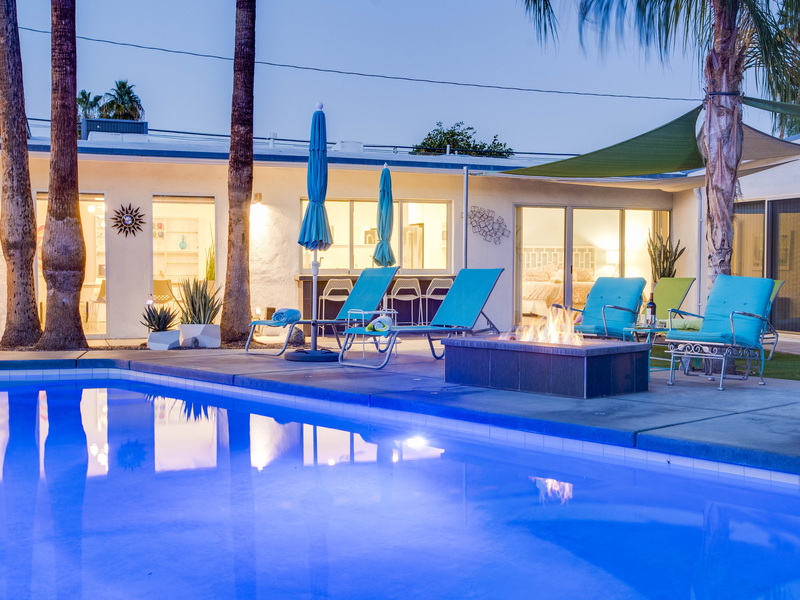 "My mom, sister and I really enjoyed our stay at this lovely Palm Springs home. What a beautiful place with all the comforts you would ever need. The home has recently been totally updated so you will want for nothing. 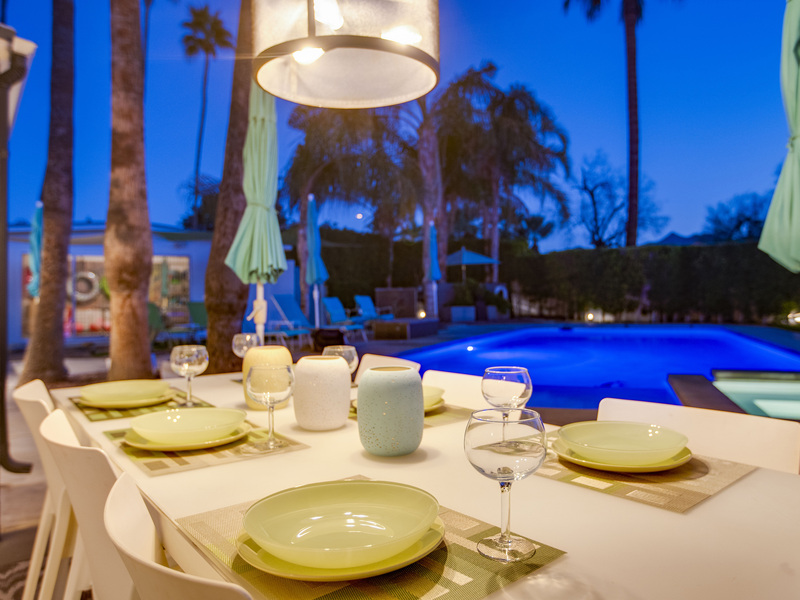 You can fill your days in the pool and spa and then enjoy wonderful dining either at home or in the Palm Springs area. It just doesn't get any better!" "We liked everything! Very beautiful and new. Great service and wonderful accommodations!" "The ACME House Co. website makes all the properties look extremely attractive. Excellent style and comfort! Loved the total privacy of the house and pool. Keep up the good work! " We would definitely come back to this house! "Fast, efficient and friendly service from start to finish! 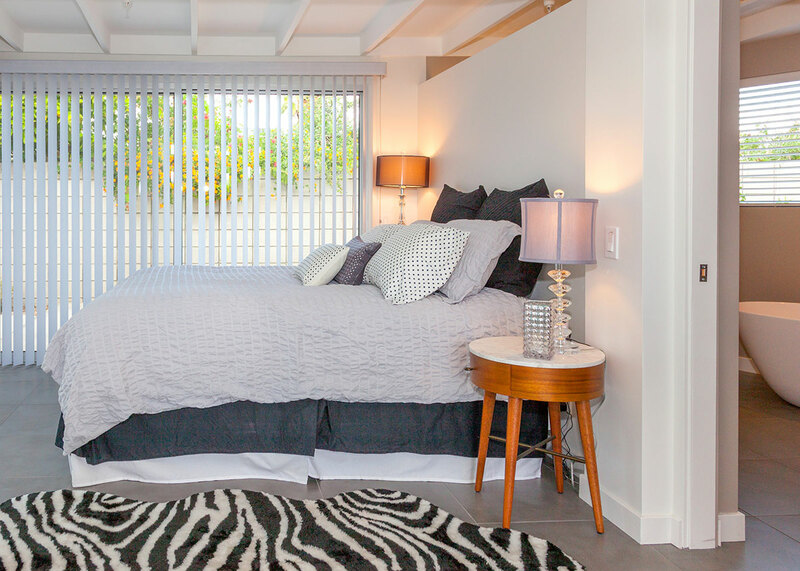 The website is awesome and shows great photos so you get a really good idea of what you are renting! The descriptions are super. Really easy to use! It was a nice surprise to get a wee discount because we used Acme House Co. last year! The house was nice and it had everything and more! 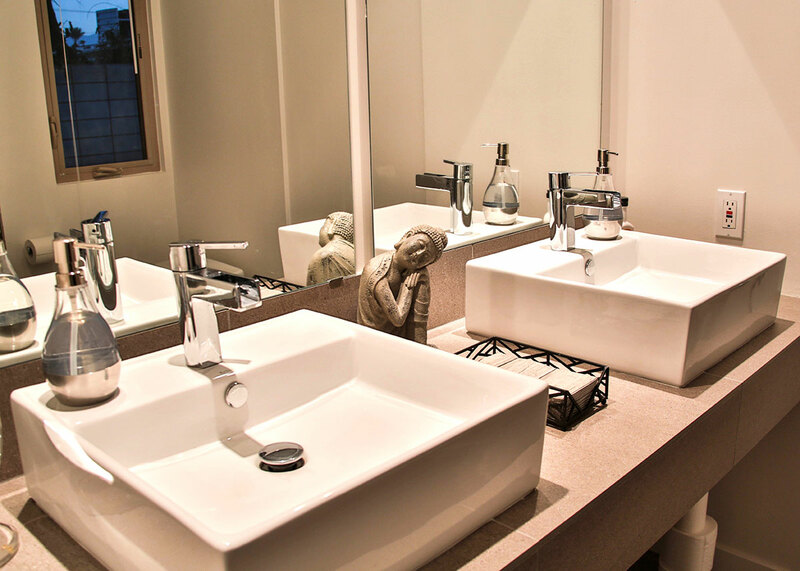 It exceeded our expectations on cleanliness and comfort. So much room and really well appointed. The layout is so flexible and not one bad thing to say about the house! 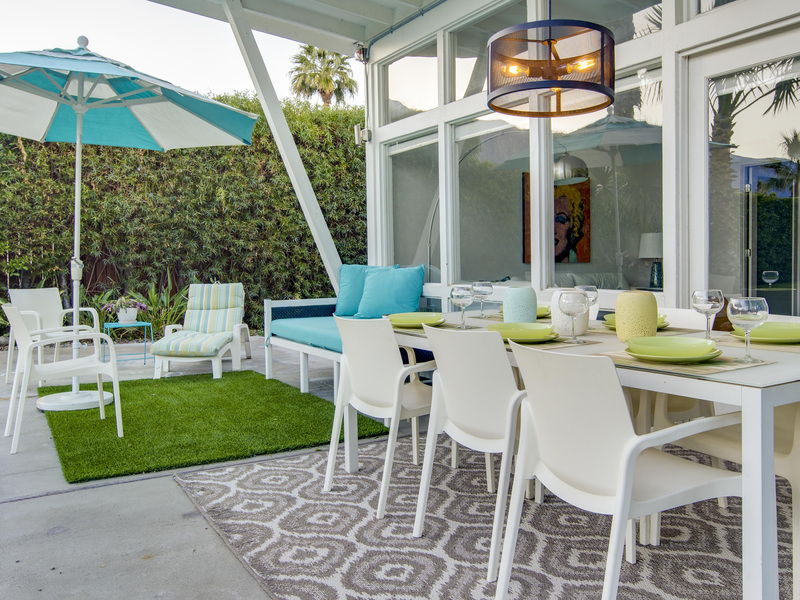 It makes us all want to come home and move into a mid-century modern! "